The Ape Alliance, which started in 1996, is an international coalition of organisations and individuals working for the conservation and welfare of apes. It exists to provide a forum for discussion of issues relating to apes, develop position papers on key issues, lobby collectively for enactment and/or enforcement of legislation to improve the welfare and/or conservation of apes, campaign for greater public awareness of ape issues and increase respect for apes, and facilitate information exchange between member groups and, where appropriate, coordinate activities to maximise their beneficial effect. A long-term partner of vEcotourism, WCS supports wildlife and habitat conservation around the world, with roughly 500 projects currently active in 60 countries. The WCS help vEcotourism produce a wonderful vEcotour alongside the Ugandan Wildlife Authority (see A tree-climbing lion, Uganda), most of which will be published in mid-2014. It is hoped that WCS will continue to work alongside vEcotourism using immersive panorama technology to capture other magnificent scenes of the projects that they support. The Kibale Health and Conservation Project works to provide healthcare to the local communities surrounding Kibale National Park as well as create tangible benefits from the Park to improve community-park relations. Set up by vEcotourism Project Advisors Dr.’s Colin and Lauren Chapman, the project works closely with vEcotourism’s team on the ground in Uganda. Managed by The New Nature Foundation since 2009, The Kibale Fuel Wood Project was established in 2006 under the auspices of Chimp-n-Sea Wildlife Conservation Fund. 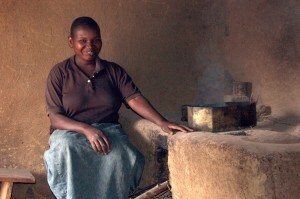 The project works with Ugandans living around Kibale National Park to empower people and facilitate home grown wood and fuel efficient cooking. Why? Kibale National Park, home to the densest population of primates in Africa, as well as elephants, leopards and more, is being cut down for firewood. An extensive public education campaign including the establishment of local natural history museums and traveling movie shows, the project has convinced hundreds of families to start caring more about the park and act to protect it. SADABE has been collaborating with Chimp-n-Sea and vEcotourism since 2009. Part of vEcotourism’s early interactive vEcotours SADABE vEcotours took place in the Andoakoho region of Mahatsinjo village. Providing a unique experience of the unique Mahatsinjo landscape and its mix of human habitation and rainforest these early tours offered a window into the region’s memorable landscape, wildlife and culture. The National Fisheries Resources Research Institute (NaFIRRI) is the Ugandan authority for fisheries, aquaculture and the freshwater environment. The Institute works to develop and disseminate fisheries technologies and information for increased but sustainable fish production; conserve the fisheries genetic resources, water quality and fish habitat; develop and manage the research and relationships with stakeholders in order to enhance the contribution of fisheries research to increased and sustainable fish production and conservation of the natural resource base. 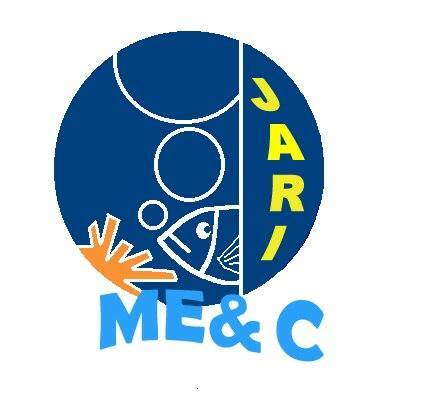 JARI is an NGO based in Lombok, Indonesia. Founded in 1997 its mission is to support sustainable seas through community-based education, research, ecotourism, and integrated coastal management. In 2001, Chimp-n-Sea and JARI founders came up with the idea of an ‘International Floating Marine Park’ to help with this mission. Today this dream is becoming reality with the purchase of a 51ft boat. Called Yosina it will operate in Sumbawa and Lombok and be a base for vEcotours, as well as a platform for research, education and ecotourism.